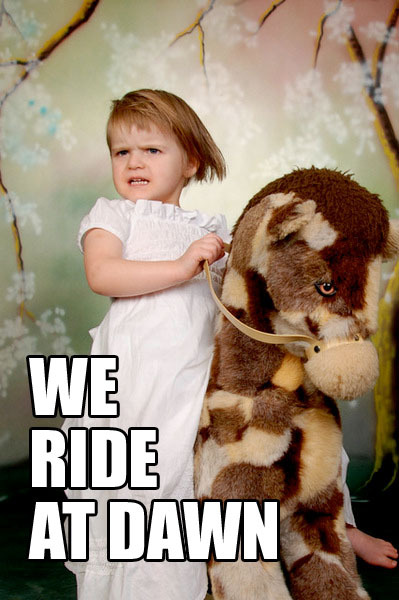 This weekend sees us take a longer than normal ride out to Sledmere. A largely rolling route with a couple of good climbs and nice decent’s. With the majority of the climbing finished after 30 miles when entering Huggate you can enjoy the mainly downhill ride back to the Purple Cow. We are meeting at the Purple Cow for 9:30, departing at 10am prompt. Check out the route, upload to your GPS device, and we will see you on Saturday. Aprils rides have now been published, please check out the Club Run Calendar and join us! This Sunday will see weekly Cottingham Road Club ride from the Purple Cow. The route is a 38 mile trip around the cycle friendly roads of the Yorkshire Wolds, during the trip we will have an easy spin down the Walkington Heads and as always, when you go down you have to go up.. so it’s a trip up Trundlegate. After that we head North on the historic Kipplingcoates road before turning off to slide past Dalton Park and heading home. 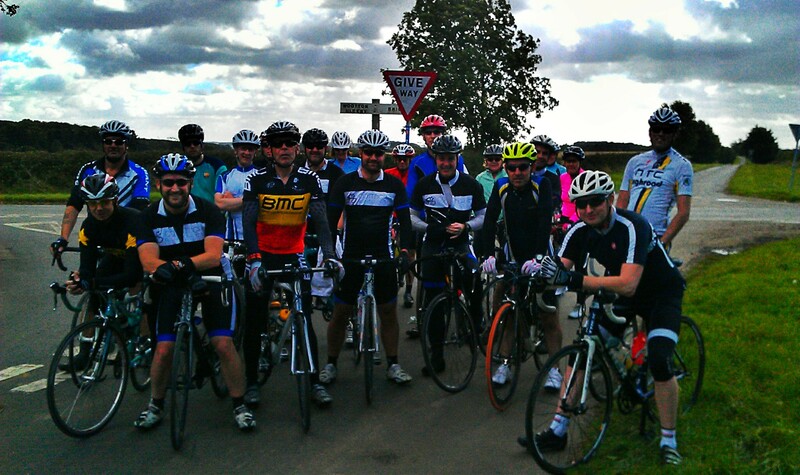 A windy Saturday morning saw a great turn out for the regular Cottingham Road Club ride. 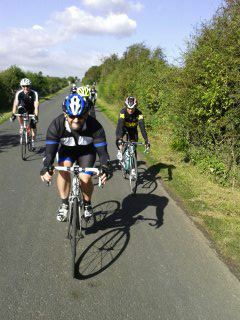 The ride was a medium length route of 40 miles departing from the Purple Cow in Cottingham just after 10:15 am. The ride was split into two groups leaving 15 mins apart, the route staying the same allowing riders in the fast group to keep the pace going while at the same time those who do find the pace too much can drop off the back knowing they will be picked up Group B. Group B set off first and increased in number with the welcome addition of the some of the members of the Sunday Girls Road Club at the Humber Bridge, Group A caught up just as we hit Gravel Pit Road hill on the South Bank and a marvellous site was to beholden as around 30+ cyclists took over the hill, it brought tears to the eyes, or that may have been the very strong head wind! Talking of head winds, the full length of Horkstow Hill behind Barton was head wind hell, 4-5 miles of ‘fun’…..
Be the time the stragglers (aka me..) managed to crest the Hill group A was no where to be seen but the whiff of testosterone was still in the air as they raced each other, this is the beauty of the two group system 🙂 It allows those that want to push it to do so without having to slow down too often. We turned left halfway down Horkstow Ramp and headed along Middlegate Lane for the nice views and empty roads. We declined the option of Elsham Rise (my excuse was a slipped disc – the others provided their own excuses…) and met up with Group A as they congregated at the top to rest for a few minutes. And then it was off again – heading SE, downhill with a back wind and empty road, add in the sun and it was pure cycling bliss. All in all it was great group ride between two great clubs, hopefully the first of many. The wind was a little strong but hey – that’s cycling, if you’re reading this and thinking of coming along to any of the rides, you are always welcome, we never take anything too seriously (apart from safety!) and the emphasis is always on cycling for fun and inclusivity.